Discussion in 'Food & Feeding' started by AbraxasComplex, Nov 25, 2015. So I had previously used Ward's Science in the past to get fruit fly medium. I tried searching for them again since they typically had live organisms and found they are now Boreal Science (www.boreal.com). If you need micro-fauna to add some variety to the diet of carnivorous tadpoles, small fish, or just want to add some invertebrates to your water feature to clean you can find a number on their website. Shipping is costly, but for starter culture prices it isn't bad. I suggest using their search function as not everything is under the expected categories and some links lead to broken pages on my browser. I have a bunch on order and expect them by Friday, so I'll let you know how they fair. I'll be keeping them in their own culture jars for a bit before I start seeding my own vivariums. Even though they are bred in lab conditions I do not feel like introducing hydra or planarians to my tanks. I plan to use the Ostracods and Aquatic Isopods as cleaners for my newt, crab, and larger frog enclosures while the copepods and amphipods I plan to raise as food for my fish. I hope it all goes well. afterdark and grackle like this. So everything arrived well and only spent one day in transit (from Ontario to BC). Sent by UPS. Packing was overkill, though no styrofoam was used. The aquatic isopods however were not included due to them not having high enough numbers to send, so I will be receiving them in a few weeks with no extra cost for shipping. 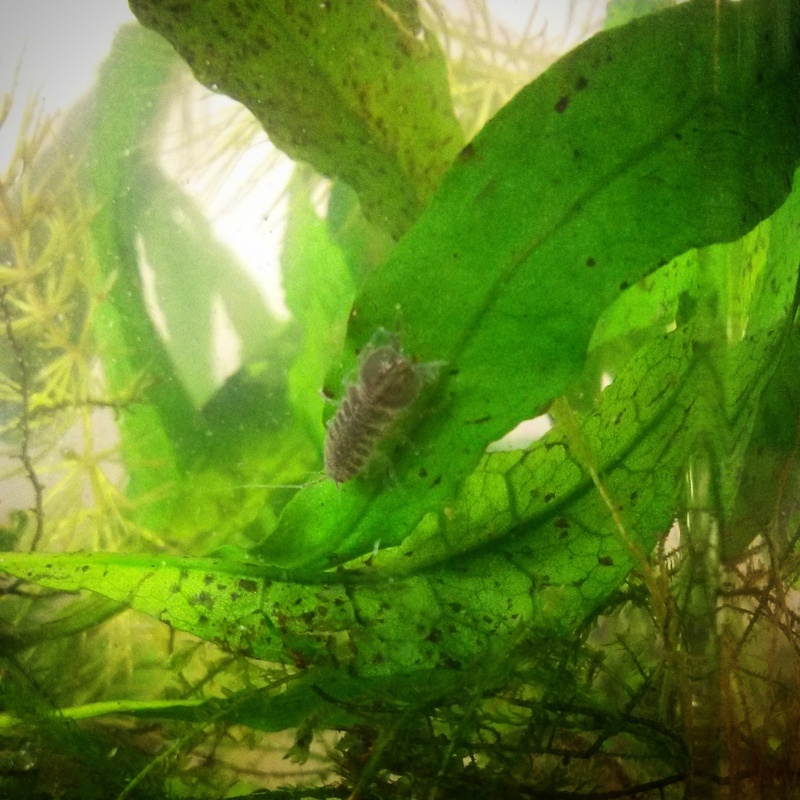 Aquatic Isopods arrived in great condition and started eating right away. Will seed my Paradise Fish and Theloderma asperum vivariums with them after a few weeks of quarantine. What do aquatic isopods eat? How are the other critters you got doing? They eat decaying plant and animal material. So right now there are a few dead plant leaves (including some oak) and they were quite keen on an algae wafer. I believe they also do well in quite heavily polluted water sources with low oxygen. This is why I want to try them with my tree frogs as they constantly defecate in the water feature. Perhaps they will even eat the waste and help with the aquatic cycle between water changes. I'll add a frog dropping tonight to their current enclosure and see. I've heard of people using them as supplementary food for newts and other aquatic species and only time will tell if my Theloderma asperum grab them underwater (I've seen them do this with a drowning cricket). As for the others the ostracods are doing great in pretty much anything I add them to. They eat decaying plant material and are quite mobile for a swimming bivalve-like creature. The amphipods were split into two groups, one to a paludarium with tiny fish I thought were too small to eat them, and the other group to a breeding container. The fish managed to eat them all and then I accidentally knocked over the breeding container and shattered it all over the floor. I saved as many as I could, but it set me back a bit for breeding those as the young were nearly impossible to find and salvage off the carpet. The copepods are fairing well, but not exploding. I'm not directly culturing these as I do not feel like having green water on hand for their numbers to explode as they eat the floating algae. However they do manage to renew their population in the enclosures I added them to. Post some photos of these aquatic isopods! I'll snap a photo when I get home. It may not be the best quality, but I'll do my best. They seem to prefer highly decayed items and so far no problems with my conditioned tap water. However I did add a seachem product called equilibrium that I use to keep my shrimp and snails alive. The tap water at my apartment is extremely soft and acidic, which can cause problems with creatures that have exoskeletons or shells. I expect the isopods can take a lot of abuse in the most foul water, but I won't start trying to neglect them unless they do not produce any offspring in the next few weeks. Best I could get of one. Wow those are cool looking! How big is that one in the photo? Does anyone know of a creature that eats detritus in an aquatic environment? The aquatic isopods and oscapods do. And amphipods do as well, but sometimes eat plants. I'll let you know how they work. And that guy was just under 1cm. I know this post is super old but how did the aquatic isopods work out? I’m looking for something to keep my small water feature clean! I was thinking a nerite snail but I’m not sure if that’s the best way to go.. They worked great... Until I added some vampire crabs to the terrarium. No more aquatic isopods.